Manali Leh Highway is one of those highways where its difficult to find civilization on majority of its distance. No civilization means lack of accommodation or stay options at disposal. This is why its extremely important to know about the whereabouts of limited accommodation or stay options available on Manali Leh Highway Below in the article, I have jotted down a list of some reliable accommodation or stay options available throughout the Manali Leh Highway and their types like tented, cemented, dormitory tents, rest house etc. 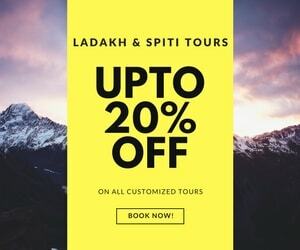 In the article I first try to give details about the HP PWD Rest Houses and Circuit Houses and how they can be booked, later I follow it up with the description of Dormitory style dhabha tents with their pros and cons and finally the list of accommodation options avaliable on Manali – Leh Highway. You can contact SDO, PWD Lahaul valley to get an accommodation at PWD Rest Houses and Circuit Houses in Himachal Pradesh. Make sure that you do book it in advance to avoid any last minute hassles. Since, I never book in advance I had tough time in the past with HP PWD Rest Houses and Circuit Houses. Usually, the rooms are quite clean and comfortable at HP PWD Rest Houses and Circuit Houses. At most PWD rest houses and circuit houses, the rooms can easily accommodate 3 persons. The food can be an issue at certain HP PWD Rest Houses and Circuit Houses. Hence, you need to either arrange yourself or make you ask the Chowkidar (watchmen) of the place to have it arranged for you. I guess he will be the one who will cook for you too or arrange pre-cooked food. You need to give him some tip though. For bookings at HP PWD Rest Houses in Lahaul Valley, you can call at 01900-222276 which is the PWD contact or phone number for Lahaul Valley. For bookings at HP PWD Circuit Houses in Lahaul Valley, you can call at 01900-222501 for Keylong or 01909-222224 for Udaipur. When price is taken into account guess its one of the best deal to stay at these rest houses or circuit houses in remote locations of Himachal Pradesh. Throughout the Manali – Leh Highway you will find tented dhabhas serving Tea, Biscuits, Maggie, Momos, Rice and Dal, Chapati etc sought of meals at many place. These dormitory style tented dhabhas have kitchen inside them at one of the corners, some tables and chairs at the center and beds arranged around the other corners of the tent. Hence, these tented dhabhas also offer accommodation or stay option on these shared beds (dormitory types) inside them and charge about Rs 50-75 per person per night. There may or may not be metalled beds but you will find quilts and mattresses to get warmth for sure. If metalled beds are not present then beds are made of rocks or stones with mattresses on them. These dormitory style dhabha tents are NOT suitable types for family as no privacy (like in dorm), mostly there are no toilets or shared toilets, there are holes in the tents as the kitchen is also inside these tents which may trouble at night when winds flow, at times kerosene smell also lasts longer inside the tents. Since, no phone or mobile signal is present there so no choice of pre-booking available for these dhabhas. Find below the list of accommodation options on Manali – Leh Highway according to each place that comes and offer accommodation or stay option starting from Manali and moving towards Leh. I hope it will be useful in planning your trip. Read more details above in section "HP PWD Rest Houses and Circuit Houses in Lahaul Valley" of this article. Check for food before booking. Sissu although not a regular overnight stop but incase you need to stop (due to some landslide or road block) or you are there to explore Lahaul valley you can stay at Triveni Hotel, Sissu. The hotel has a great location in terms of views and offers real good value for money stay as well as meals. The rooms are large and comfortable enough to accommodate more than 2-3 people at one time. So, if you have to stay at Sissu then Hotel Triveni is a great value for money deal. Price range for the double bedded rooms is between Rs 400-700 depending upon the number of people want to stay in one room, month you are visiting, availability of the rooms and of course bargaining. Since, Sissu is almost lowest in the altitude than Keylong and Jispa, it must be preferred option of stay incase someone in the group is suffering from AMS symptoms. Hotel Chandrabhaga, Keylong is run by HPTDC is nice option of stay. Being HPTDC property, many tourists staying in Keylong prefer this hotel. The price for a double bed room at Hotel Chandrabhaga costs about Rs 1800(MAP) and for a family suit accommodating four people it may cost 2900-3000(MAP). Since the price is MAP tagged it means, it includes two meals as well including breakfast and either one of dinner or lunch at the hotel. For bookings you can use the official HPTDC website: Book HPTDC Hotels Online. You can also book the rooms from HPTDC offices at Manali or Delhi too. Nalwa Guest House is located right on the Manali – Leh Highway and comes onto the right side as you about to exit Keylong town while coming from Manali. Although it is an economic option of stay at Keylong but does not offer good quality food. The rooms are nice and comfortable and also had hot water supply. Price ranges from Rs 400-500 for a double bed room with attached toilet and Rs 300-400 for a double bed room with shared toilet. These tents are located about less than a KM before the Hotel Ibex on the right hand side while going towards Leh from Manali. There are about 20-21 tents available out of which 14 are Swiss tents with attached toilets and 6-7 are normal tents. The tents are nice and comfortable with metal beds having quilts as required usually 4 quilts are given. Price ranges from Rs 400-600 for normal tent and Rs 800-1200 for Swiss tents both depending on tourist rush, time you reach the place and bargaining you do. I guess, Padma lodge is also located about a KM before Hotel Ibex. The rooms are clean, spacious and comfortable with hot water supply. Price ranges from Rs 700-1200 for a single room with double occupancy, depending on season and bargaining done. In the end, if you are not one of those who can live with Tents then after Jispa Journeys, Padam Lodge will the best bet as a stay option at Jispa. Hotel Ibex, Jispa is the oldest and well established property or stay option at Jispa. Of course the rooms are clean, comfortable, spacious as well as serve beer too 🙂 but over past few years this Hotel has developed a reputation where Indians are not welcomed owing to steep prices they charge and somewhere a tad lousy attitude towards home tourists (I have not stayed here personally but this is what is written at many established travel forums)… Foreigners pay them better and with a smile, so guess they are much more welcomed. But, I guess over time things may change as more options of stay could come up at Jispa. The price for deluxe rooms (27 in number) are Rs. 2800(AP), Rs. 2400(MAP), Rs. 2000(CP), Rs. 1800(EP). 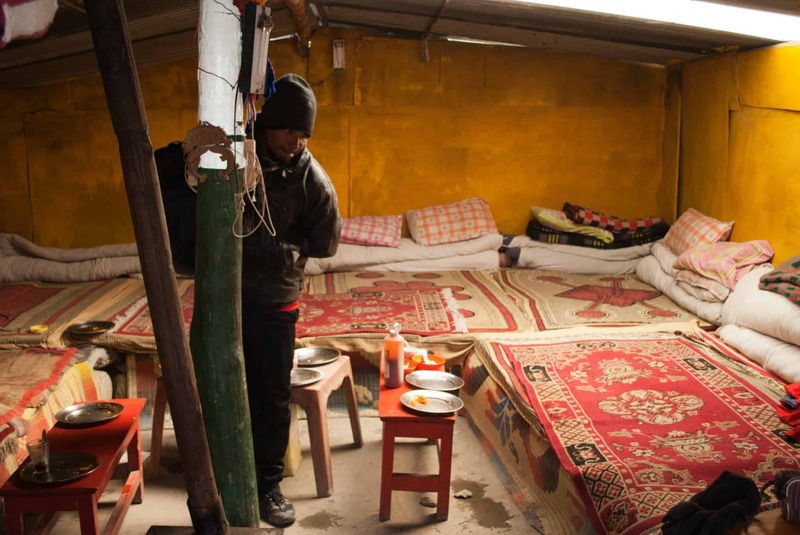 The price of Dormitory (20 beds) is Rs 150 per day. Darcha may be having very few and small guest houses only with very basic stay options, I am not aware of any specific one. There are several dormitory style dhabha tents as well at Darcha serving food and accommodation. For more information on dhabha tents, please read the section "Dormitory Style Dhabha Tents" above in the article. Some dhabha tents at Darcha have metalled beds as well. Its always preferable to stay at Jispa / Keylong rather than staying at Darcha which may not offer good stay options. There are about three dormitory style dhabha tents at Zingzing Bar serving food and accommodation. For more information on dhabha tents, please read the section "Dormitory Style Dhabha Tents" above in the article. At Bharatpur also called Bharatpur City :), you can find few tented accommodations as well but I doubt if there are any Swiss tents available although you may check them, if required. These tents are cheaper as compared to the tents/camps at Sarchu. No phone booking possible, AFAIK. There are few dormitory style dhabha tents as well at Bharatpur serving food and accommodation. For more information on dhabha tents, please read the section "Dormitory Style Dhabha Tents" above in the article. You will find plenty of tented accommodation at Sarchu running along side the Manali – Leh Highway. Here you will find Swiss tents with attached toilets as well as normal tents as well. There are quite a few groups that run these tented accommodation at Sarchu within 8-10 KMs of distance. As you drive closer to Sarchu the first one you will find is Blue Poppy Camps followed by Antrek Camps, Planet Himalaya Camps, Goldrop Camps and Himalayan Saga camps. There is no power and generators is run for the time of dinner only. Hence, do not forget to carry torch. Himalayan Saga Camps has about 25 Swiss tents with large dinning tent. They may charge the maximum rate at Sarchu and if there is tourist rush they may not even bargain too. Goldrop Camps has about 30 luxury tents offers spacious, comfortable stay. Staff is pretty decent and courteous too. You may get a fair deal with them. The price range for these tents is about Rs 500-1200 depending upon the month you visit, time you reach Sarchu and bargain you can execute. June is the most expensive month as only few tents are setup so bargaining options will be lesser. Similarly, if it is late in the day that you reach Sarchu, there are less chances that you might go ahead and explore. This also limits the bargaining options. Generally, the price include the meals as well. So, do check and keep the meals option open for you while you bargain. Just aside the police check post where you need register your name, there is a structure with separate kitchen, dining and sleeping tents with about 7-8 tents. Hence, you do not face the issues of normal dormitory tents like smell, ventilation etc however the toilets are again open. He charge about Rs 100-150 per person. Once you cross the Himachal Pradesh border and enter Jammu & Kashmir then you will find 3-4 dormitory style dhabha tents as well at Sarchu serving food and accommodation. For more information on dhabha tents, please read the section "Dormitory Style Dhabha Tents" above in the article. At Pang, you will find 3-4 dormitory style dhabha tents serving food and accommodation. For more information on dhabha tents, please read the section "Dormitory Style Dhabha Tents" above in the article. I hope the above article will help you better plan your night stays and pick right accommodation option according to your needs on Manali – Leh Highway. Please feel free to share your experiences of stay as comments below at these accommodation options or places or provide the recommended options of stay which collectively will help others to have the required variety, flexibility and ability to choose best fit to their needs. I will be looking forward to your responses. Is there any stay options available in Karu ?? thanks for this info dear ! I will be driving ( MG 413 ) solo in July 2018 , I may need more later on route thanks again !!! Thanks a lot Dheeraj, nice info. 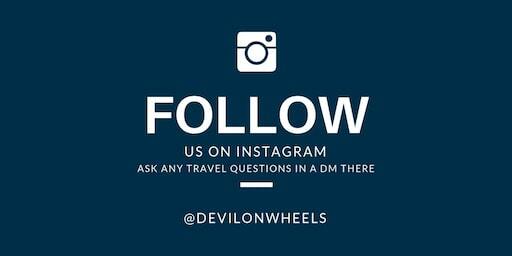 2 queries on Leh-Manali hoghway. 1. Time required for travelling JIspa to Leh city – in a xylo. 2. Where can I have my lunch at afternoon – if I start from Jispa in morning for Leh. Jispa to Leh will take about 12 Hrs. You can have lunch at Pang and a snack break at Sarchu.